Hello to all of you fine ukulele folks. I just wanted to make another quick update to say that even more progress has been made on the ukulele chord library. 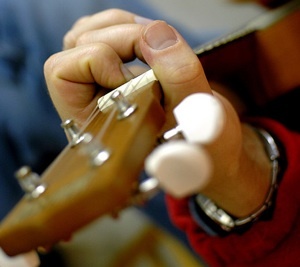 Last time, I mentioned that major seventh chords had been added to the ukulele chord library. Since then, I’ve added minor 7th, dominant 7th, and sixth chords to the chords library. Jeff, over from Humble Uker, posted a comment asking if more chord qualities like 9ths, 13ths, sus, add9, etc. were going to be added as well. The answer is yes, but it takes awhile, so I’ll be devoting a lot of time in this next week getting all these other qualities up, which means I might have less time to write content for the blog like lessons, tips, etc. If you like the chord library, be sure to let your friends know about it! Tweet it, share it on Facebook, post it on your blog, paint it on your stomach, etc. I think it has the ability to be a really helpful tool, but ultimately, I’ll need your help to get the word out. All to say, just wanted to let you know what the plans are for the next week. I’d love to hear your feedback and what you think if you have any.